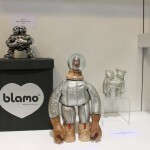 It’s only the third week in January, but already Blamo Toys‘ Wham Blam Blamo show at Toy Art Gallery is a contender for Best 2012 toy art show that I didn’t get to see. 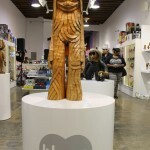 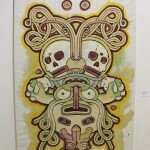 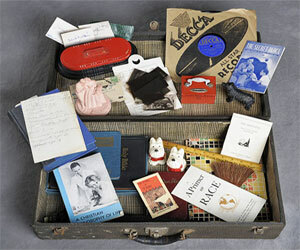 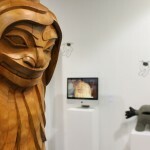 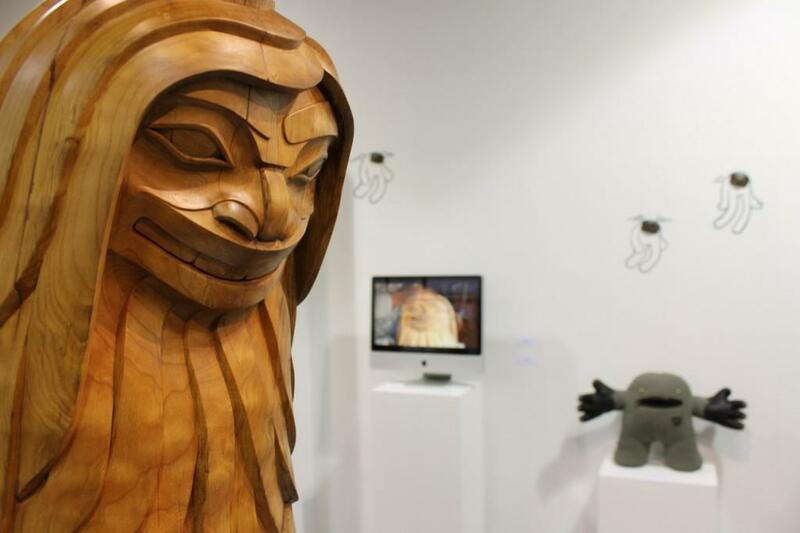 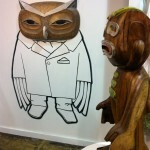 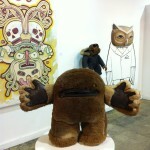 Thanks to TAG and John “Spanky” Stokes, there’s a cornucopia of great photos from the opening, however. 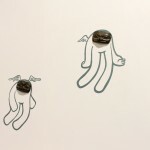 I’ve been pouring over the photos for a week, and I’ve whittled them down to a reasonable…66. 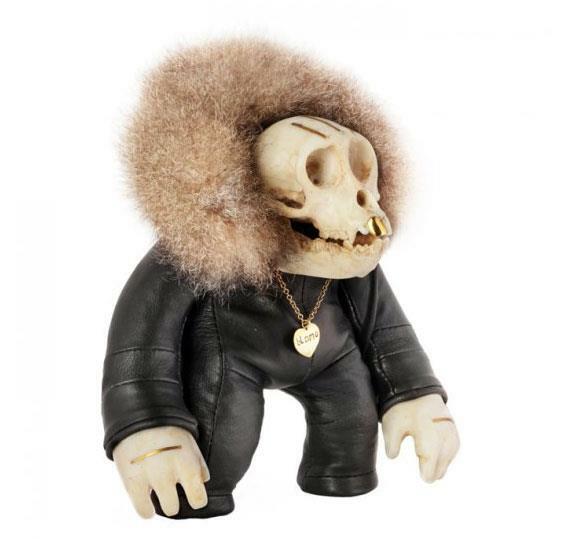 Pictured above is Skully Babe, a creature who exists (at least in my mind) somewhere between an antelope and an aviator, with a monkey tail and an overbite. 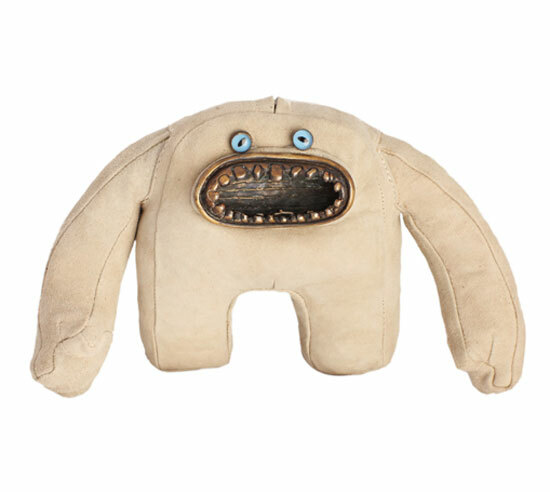 So much character infused in one little bundle. 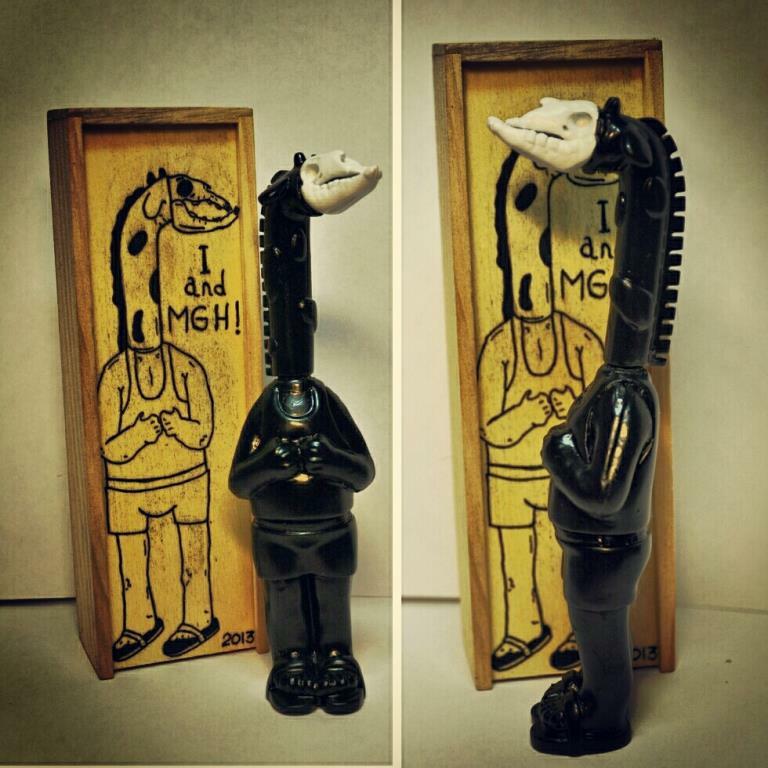 Meet Duncan and Matilda. 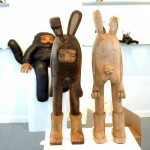 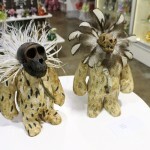 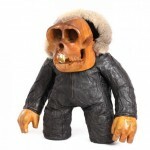 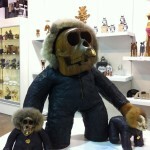 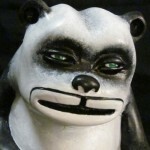 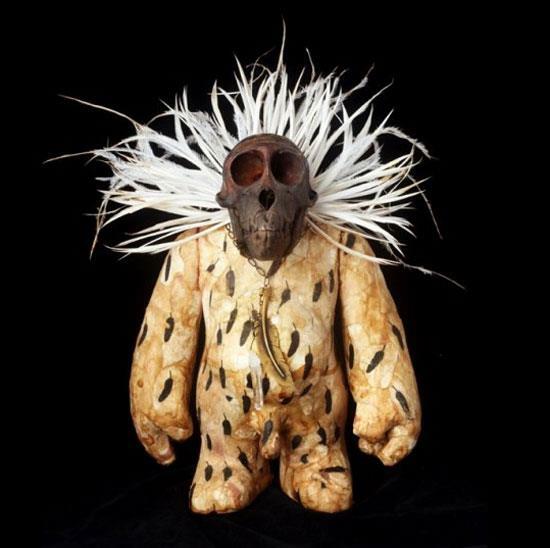 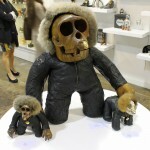 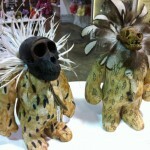 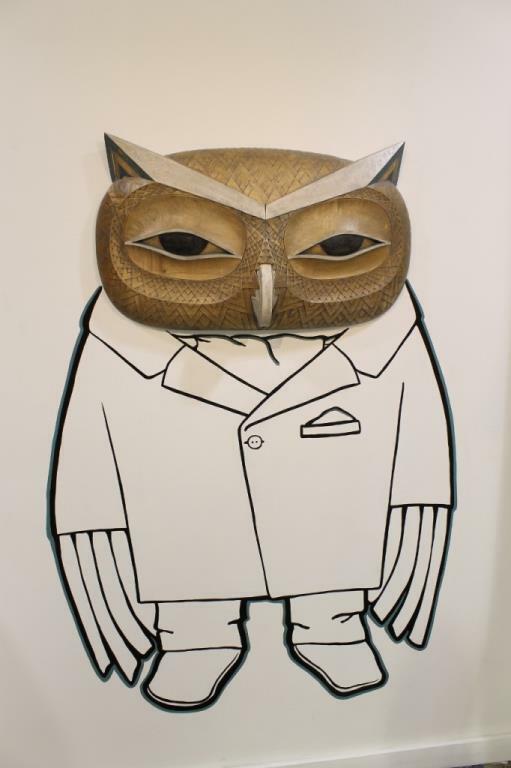 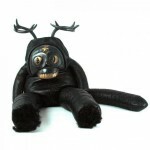 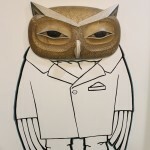 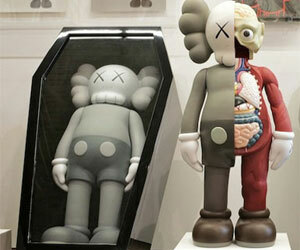 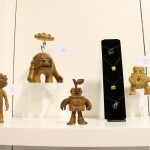 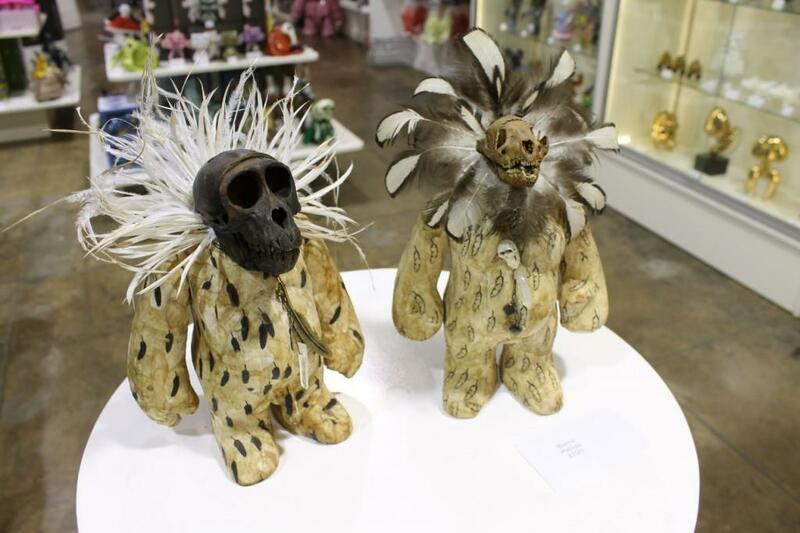 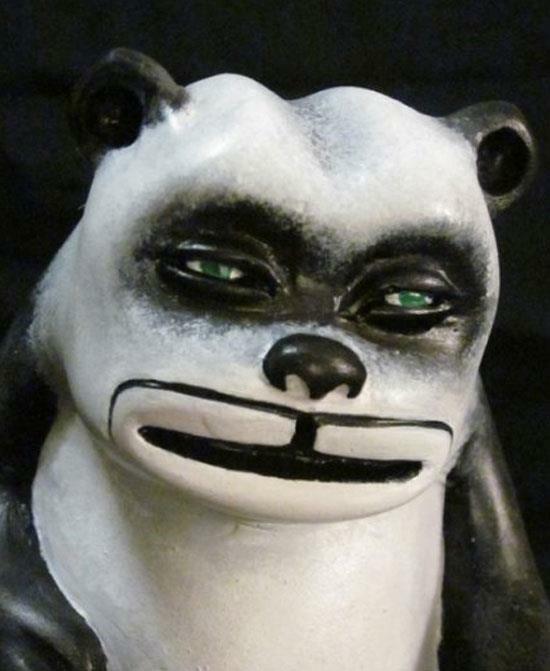 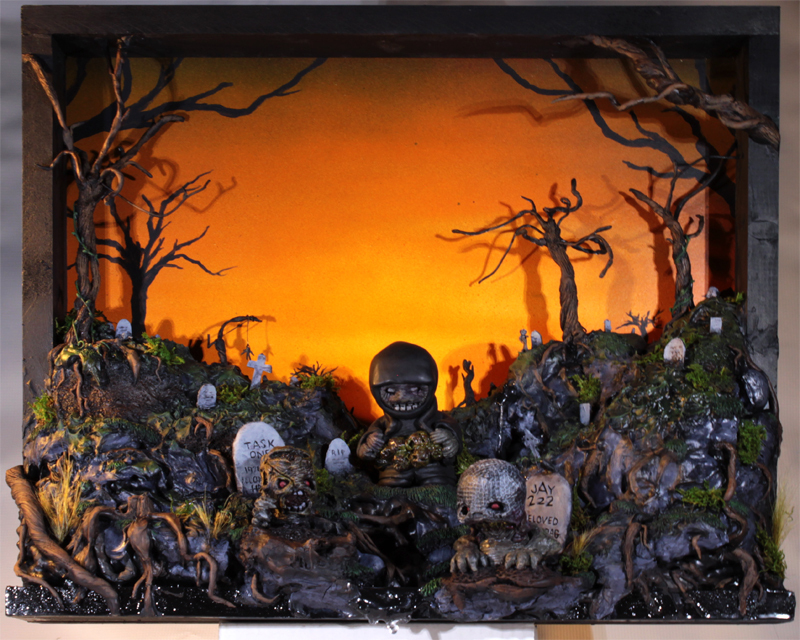 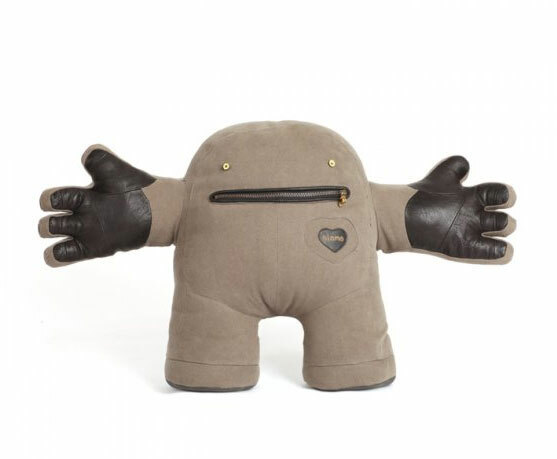 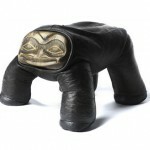 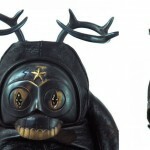 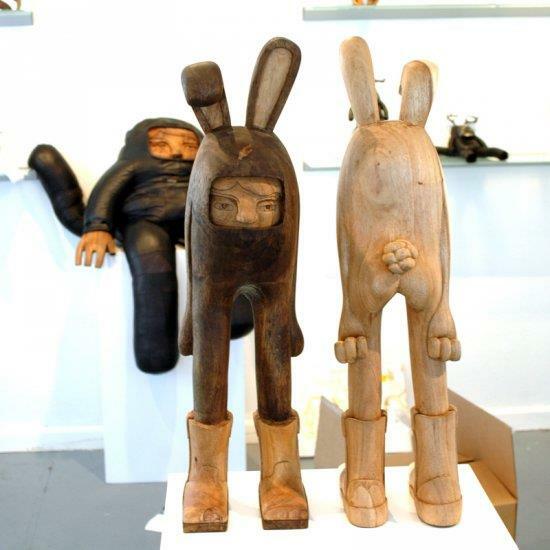 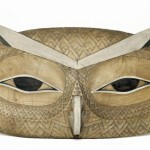 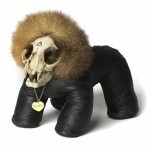 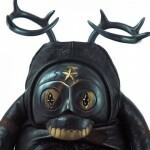 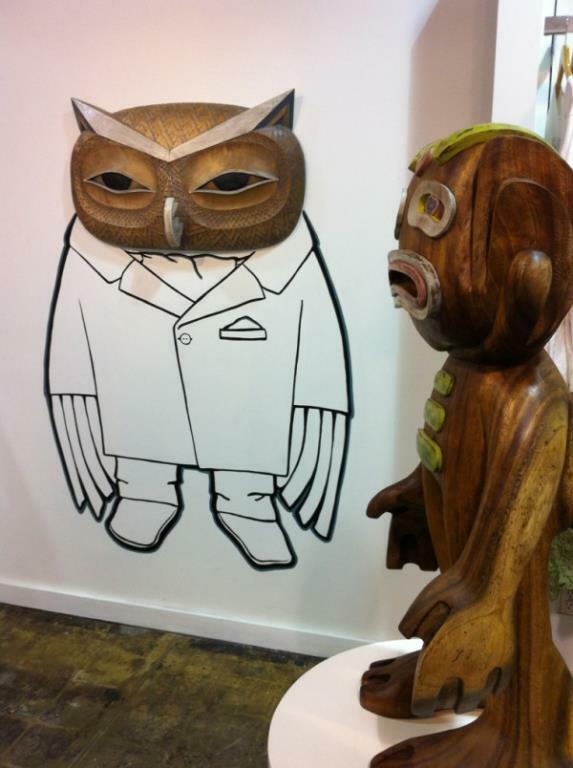 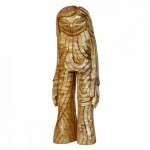 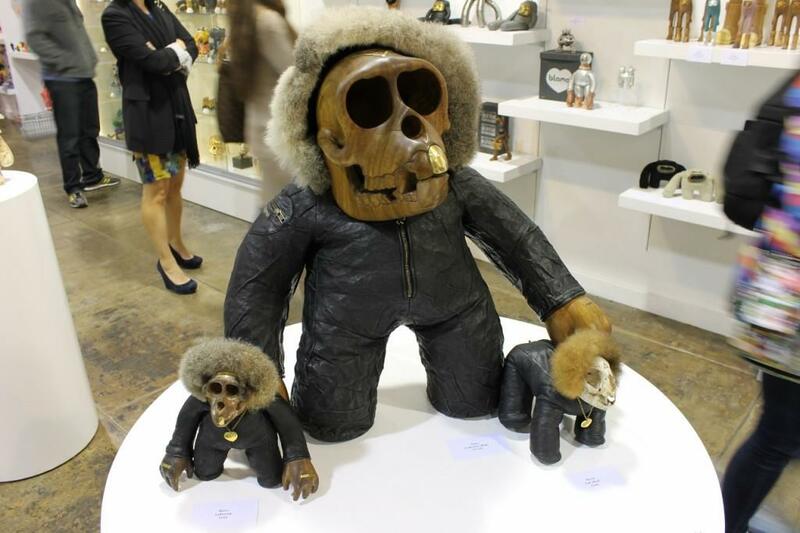 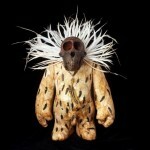 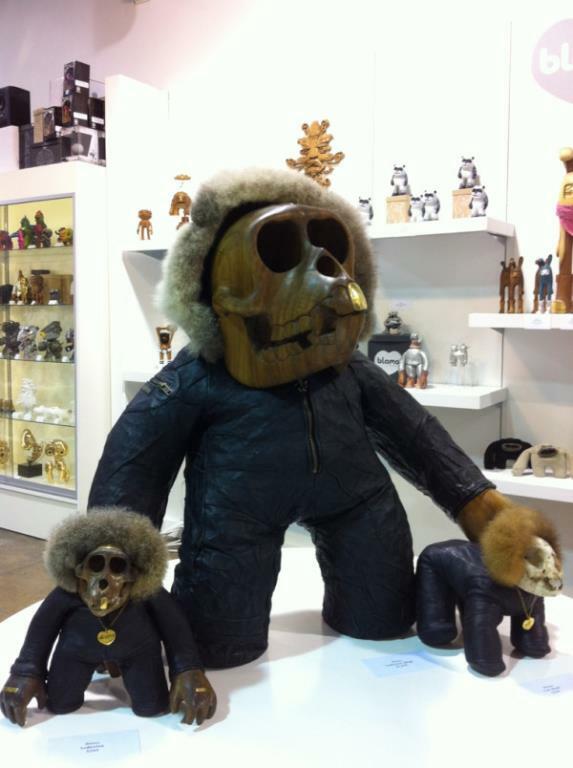 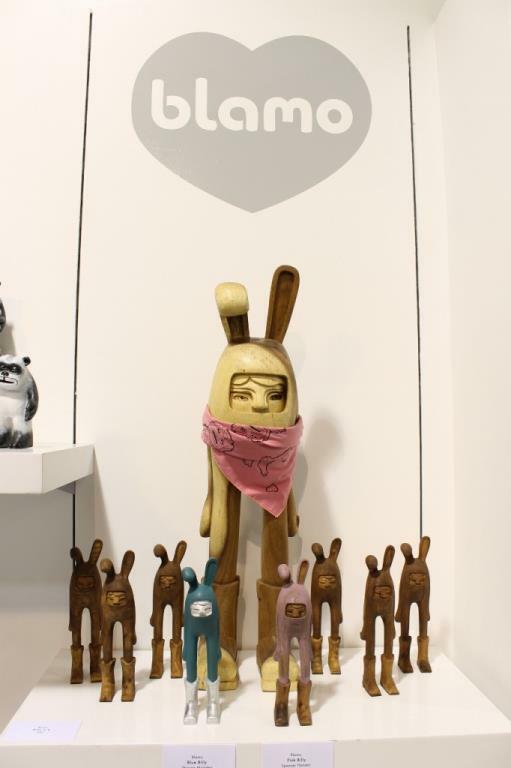 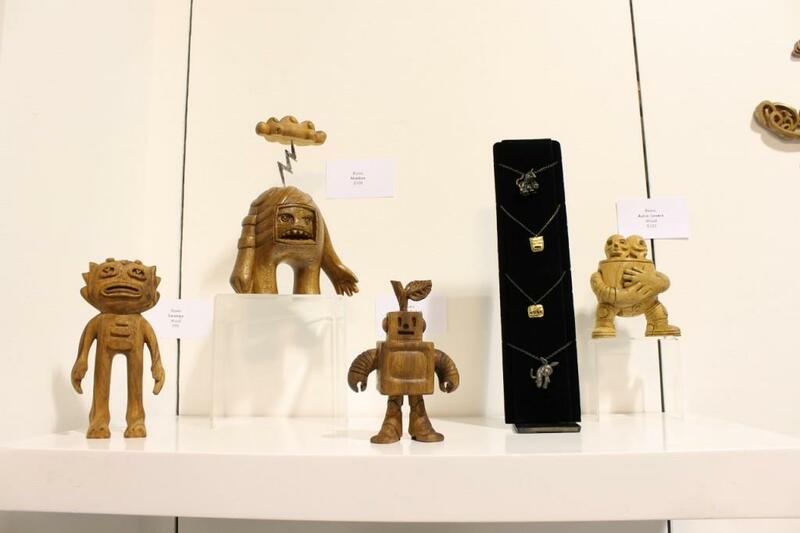 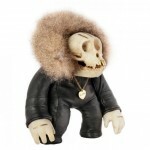 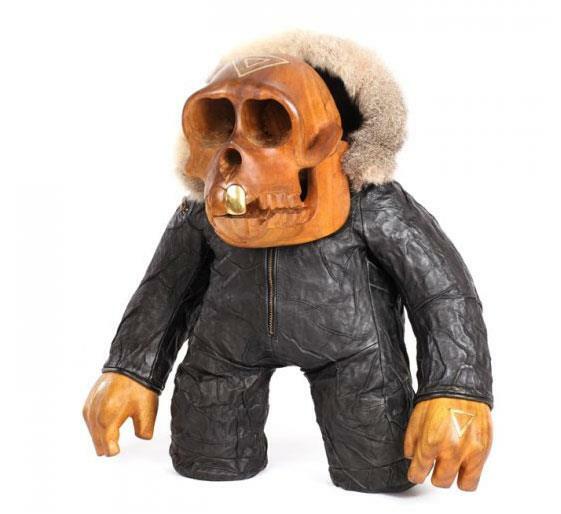 Each one-of-a-kind character sculpture is made from organic materials and has a real animal skull. 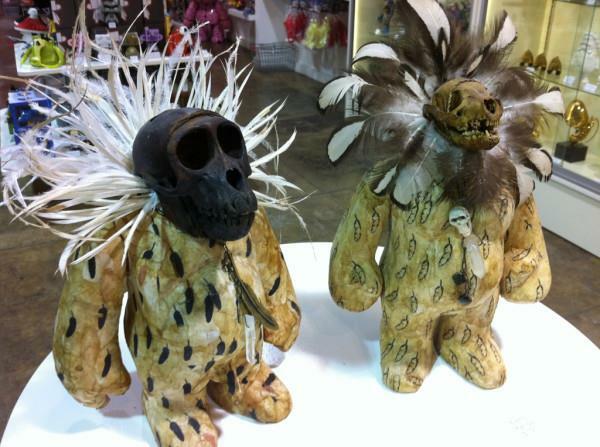 I hope the pair gets to go home with one collector. 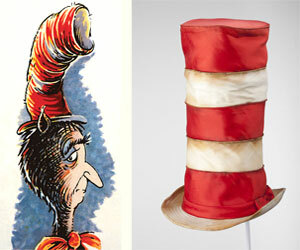 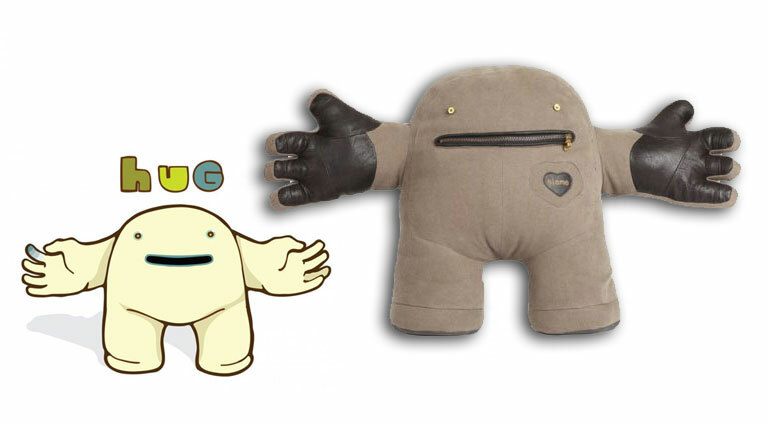 Duncan is available here and Matilda here. 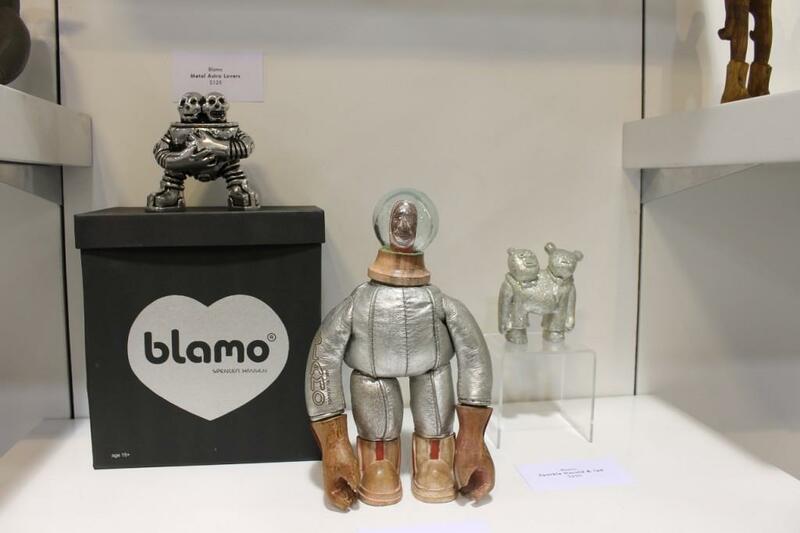 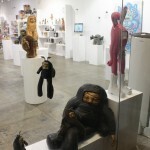 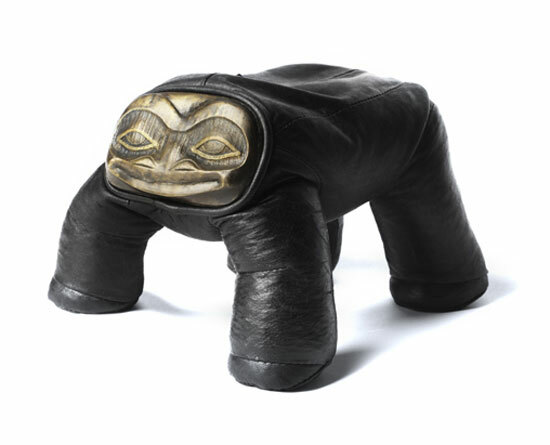 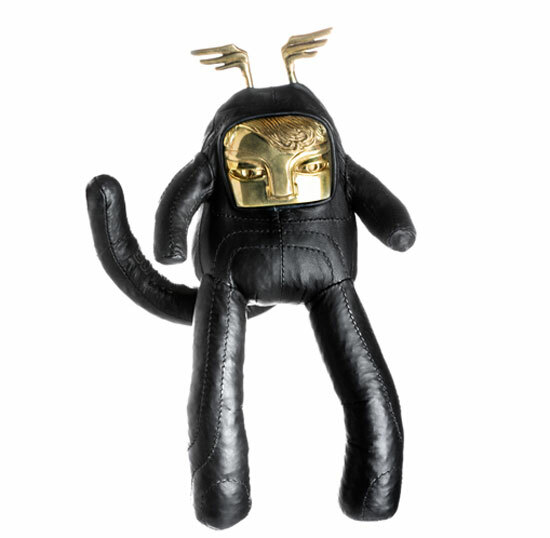 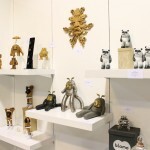 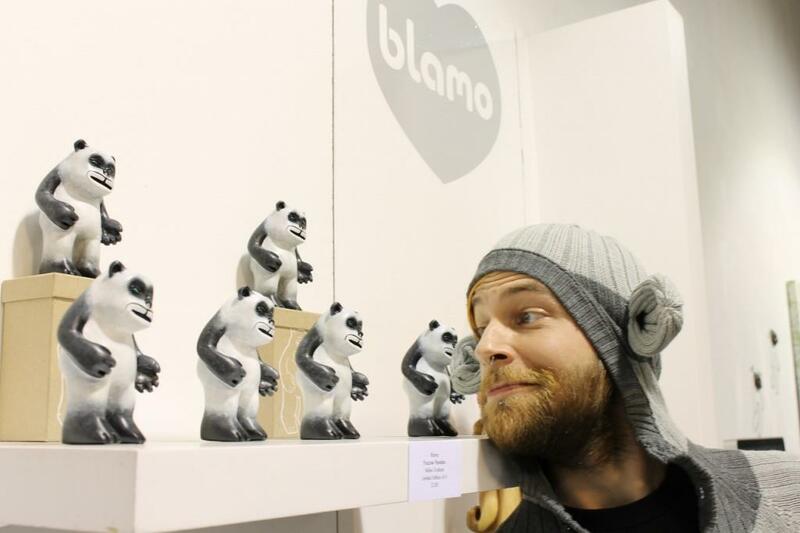 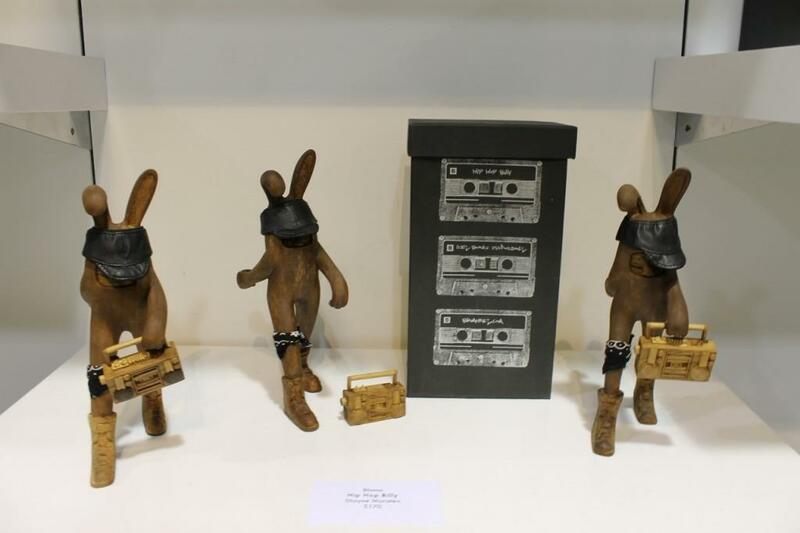 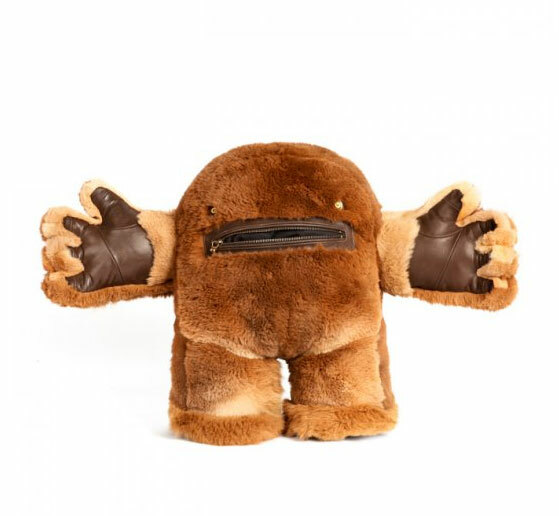 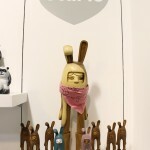 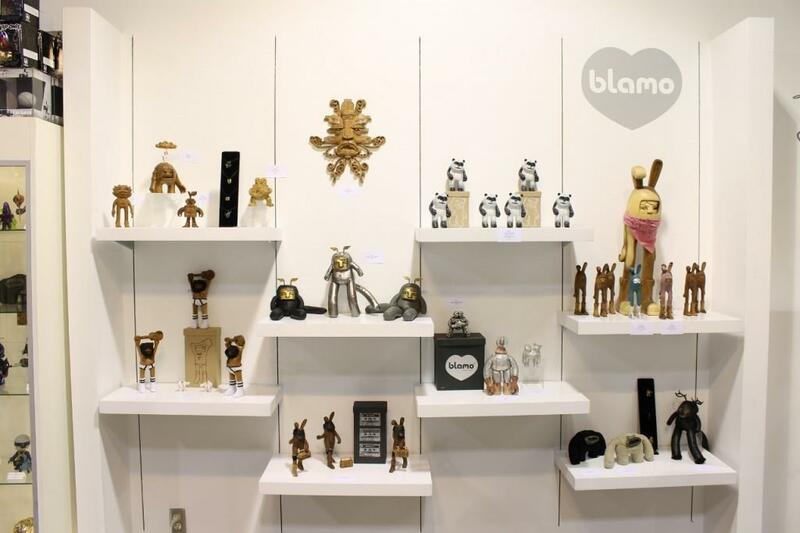 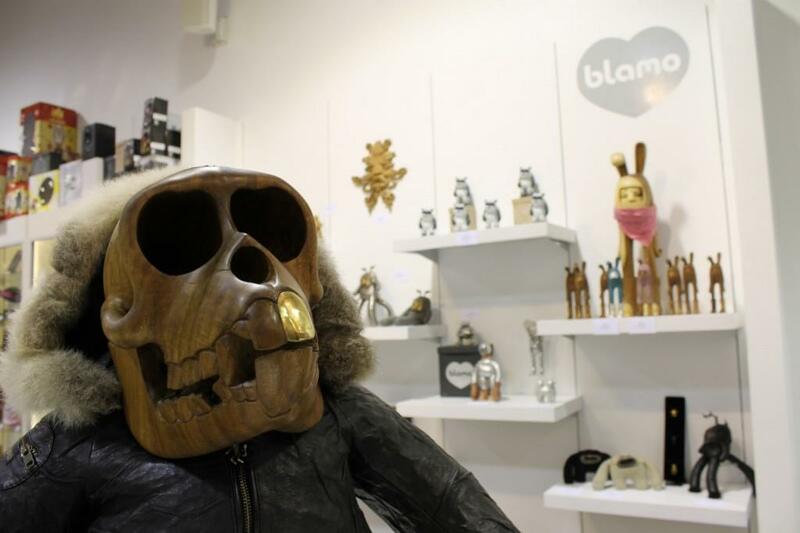 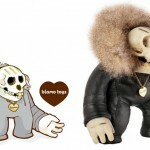 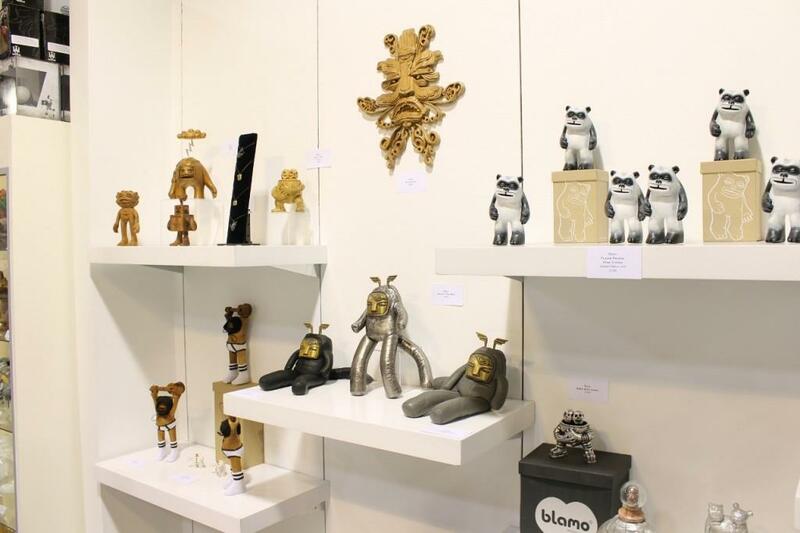 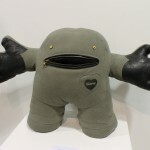 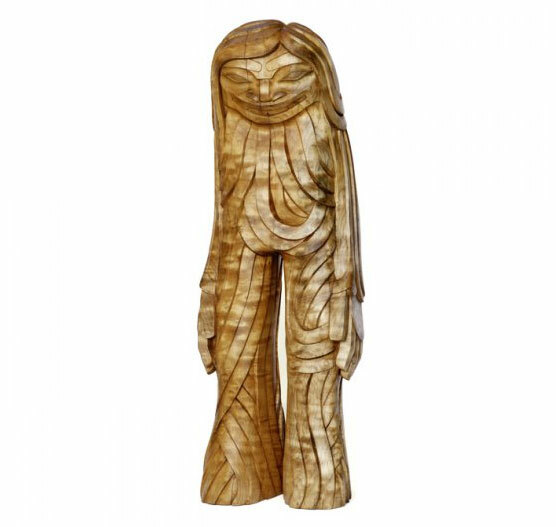 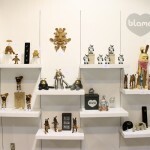 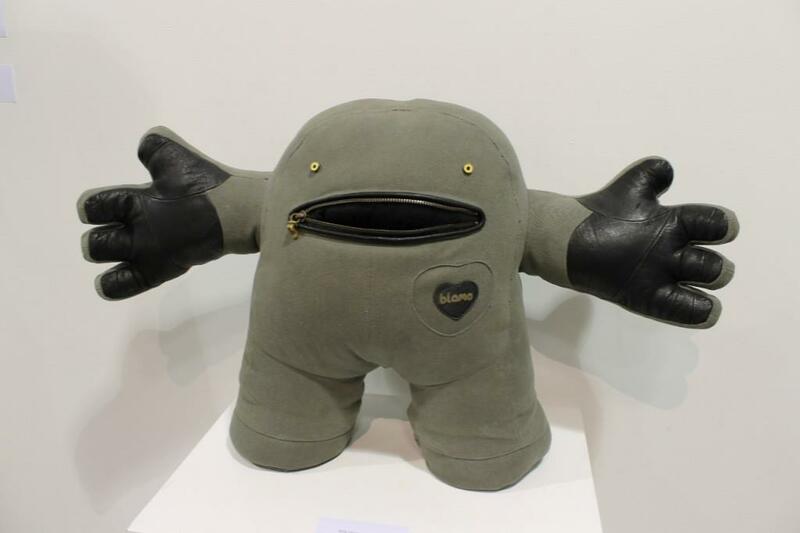 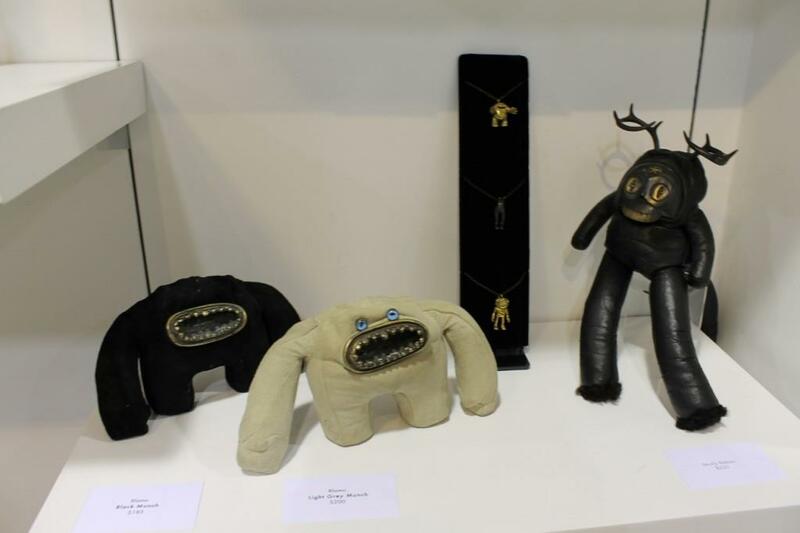 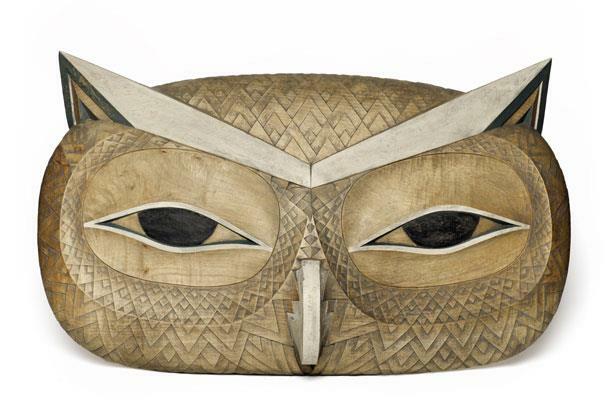 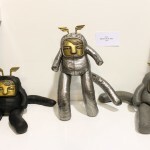 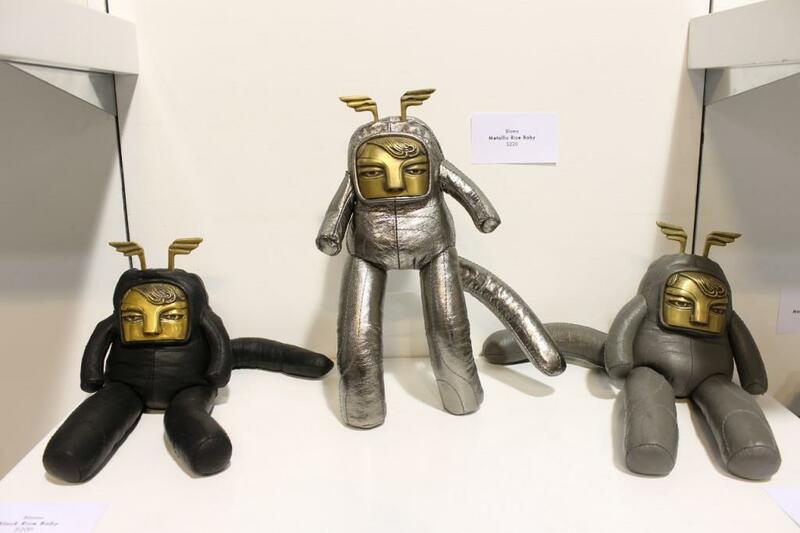 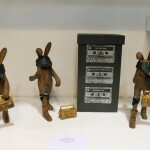 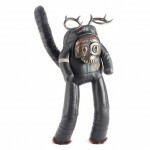 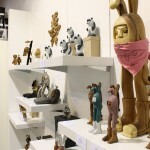 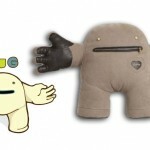 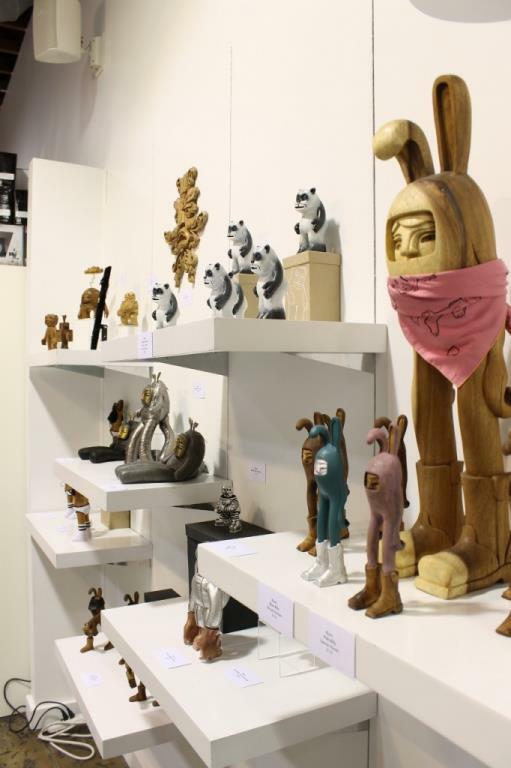 With Blamo Toys being known for using non-traditional (for toy art) materials like leather, fur, natural fibers, wood and metals, the new fiberglass pieces really stand out. Billy, a character we’ve come to recognize in wood form, makes the transition to 10 pounds of pink fiberglass quite excellently. 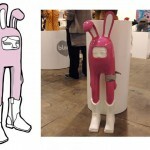 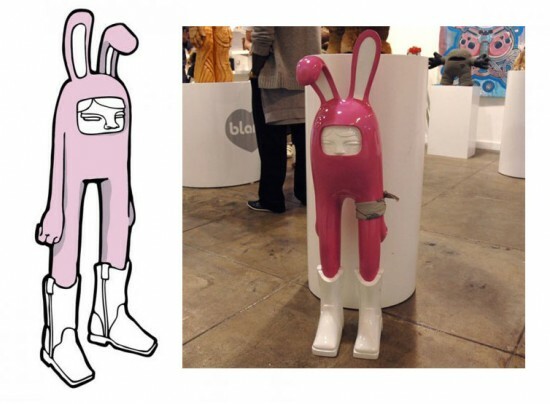 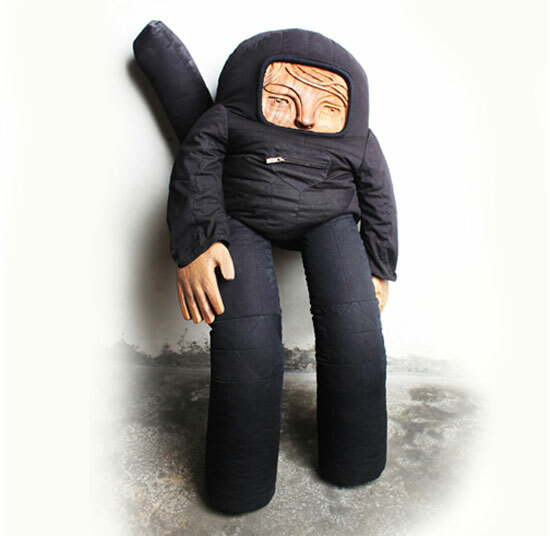 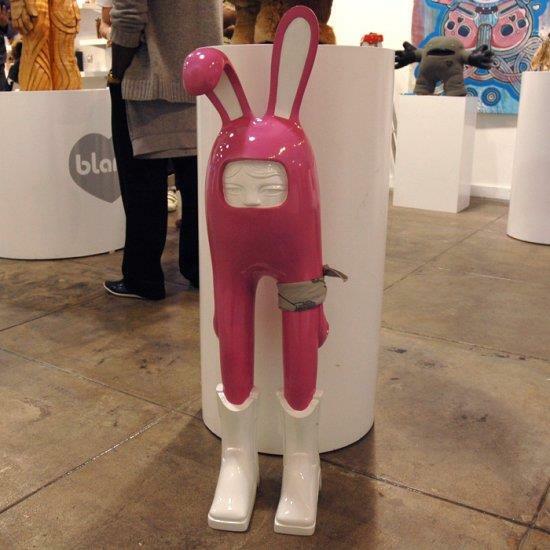 Lifesize Pink Billy is an edition of 10 pieces and can be reserved here. 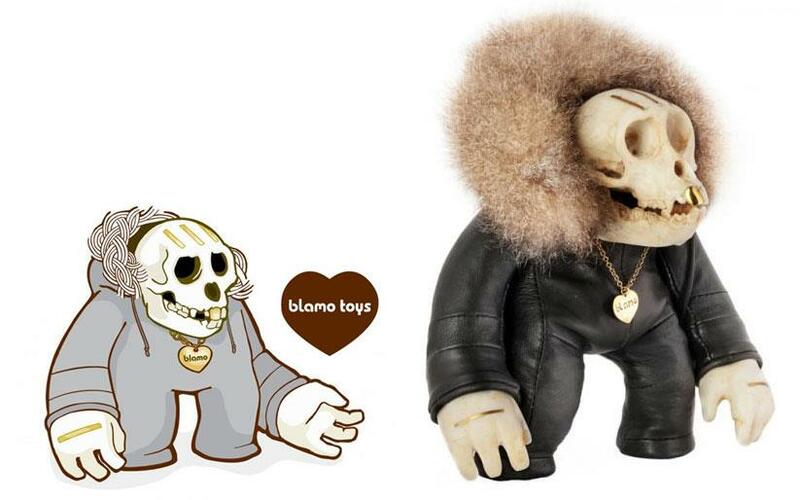 Knuckles is another terrific Blamo Toys character. 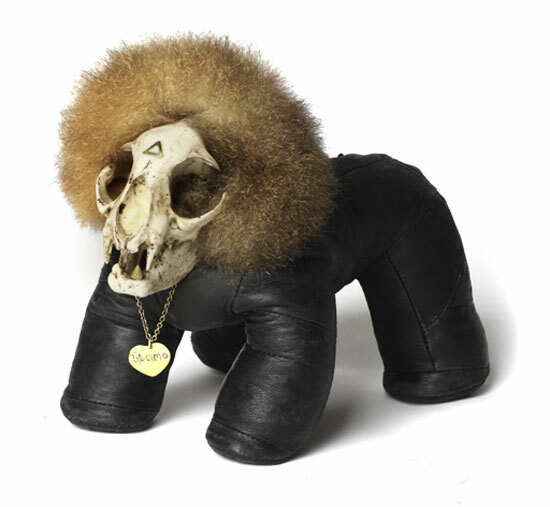 If Spencer Hansen had pitched Tim Gunn a skullheaded-leather-bodied-fuzzy-collared creature who wears a necklace, you know he’d have furrowed his brow and said: “Make it work”. 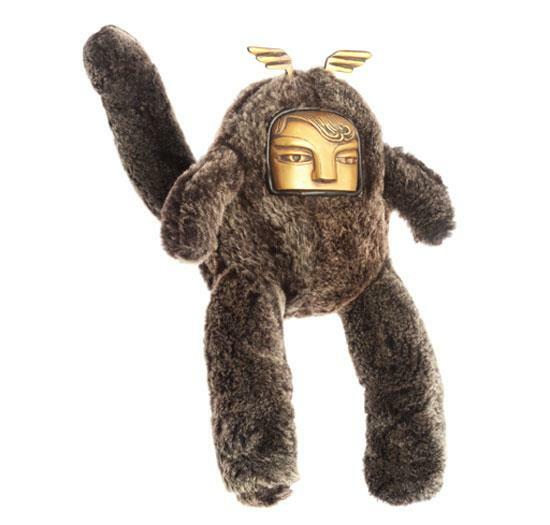 Well, he did, and it does. 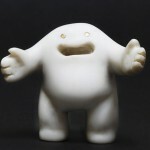 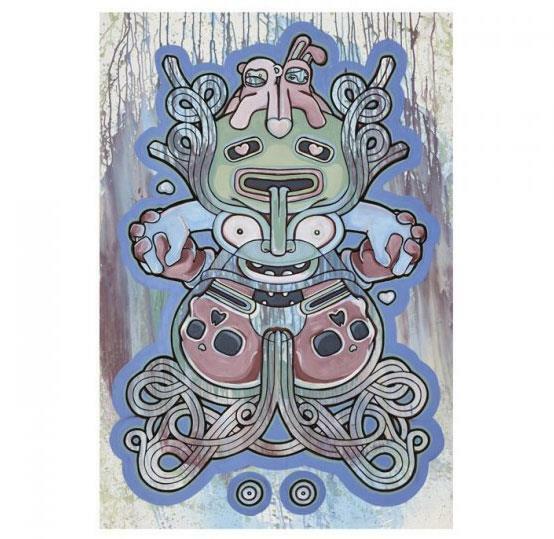 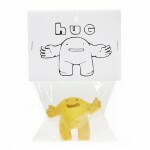 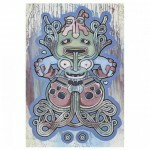 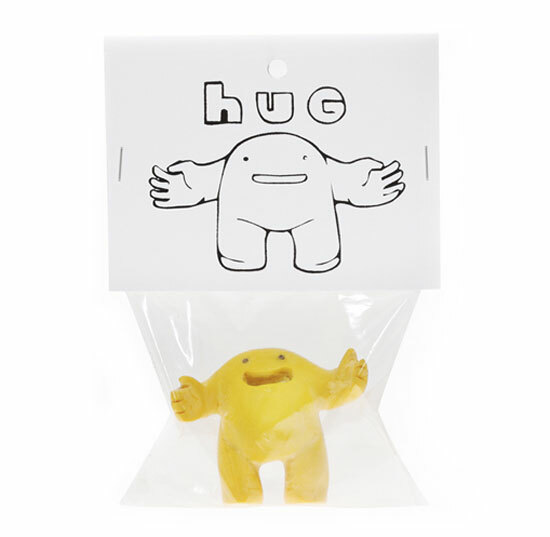 Knuckles, one of Blamo’s newest characters, is available here. 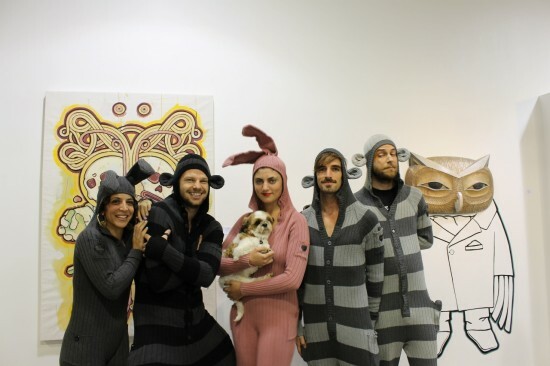 It wouldn’t be a Blamo show without the bunny onesies… So awesome. 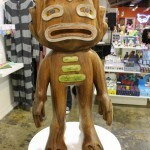 I should probably quit staring at all the photos and publish this post now. 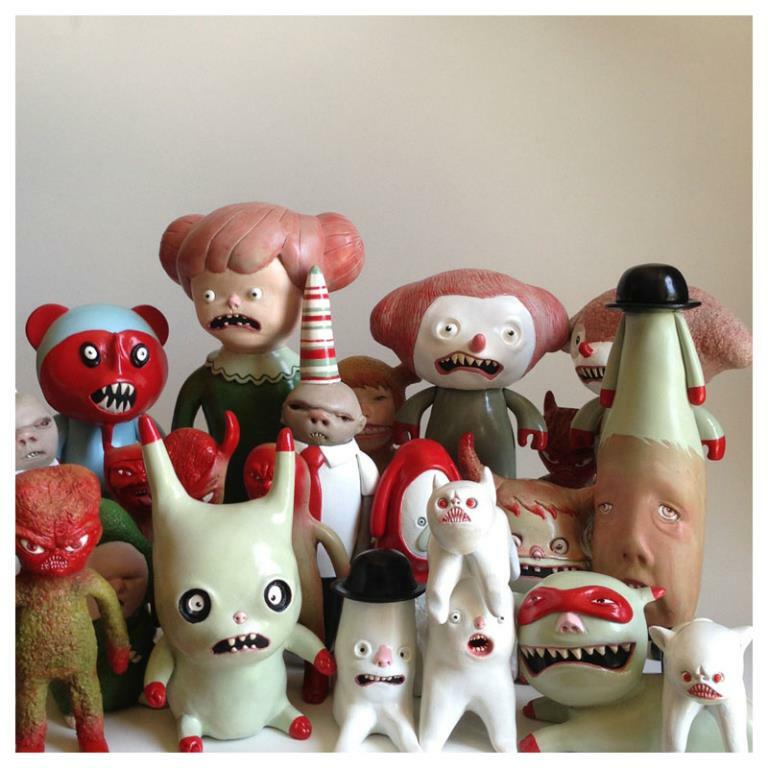 Click through for lots more. 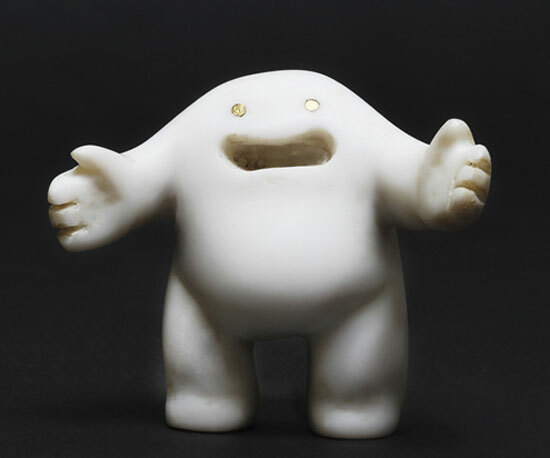 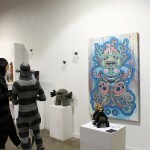 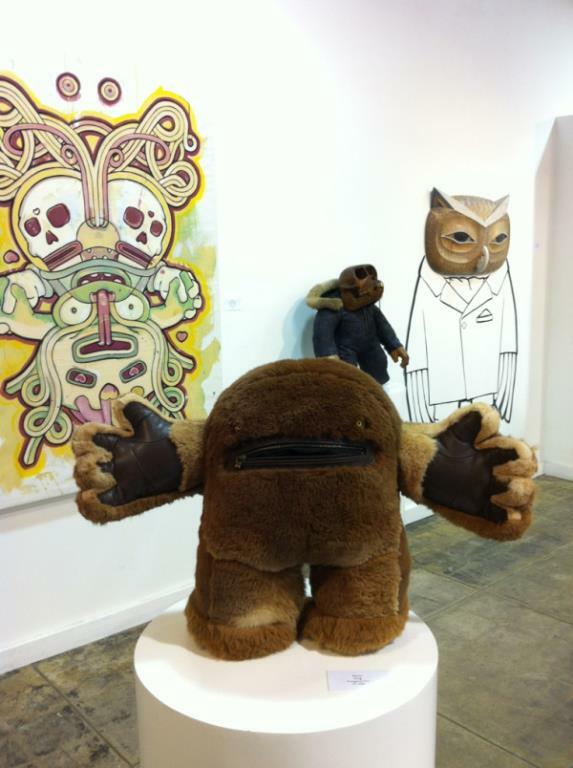 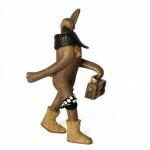 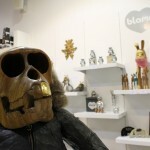 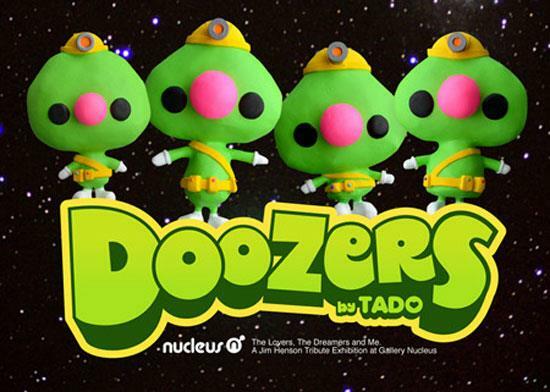 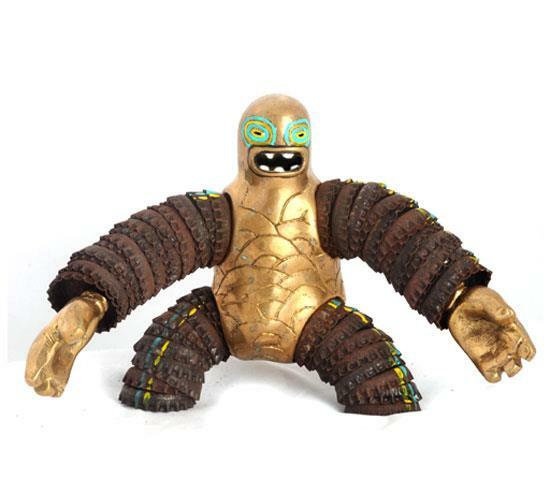 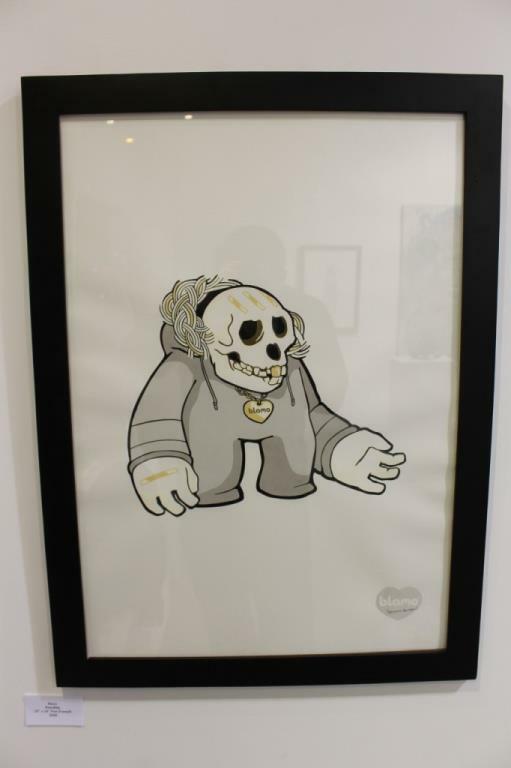 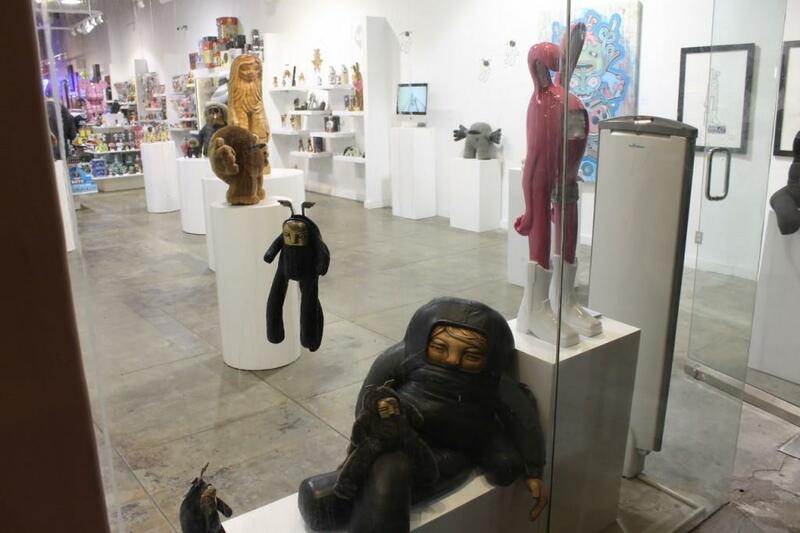 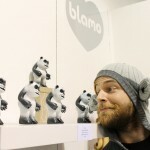 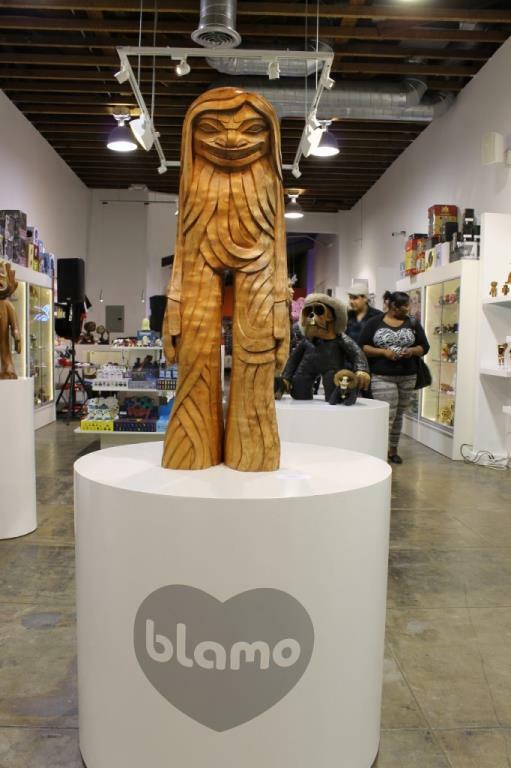 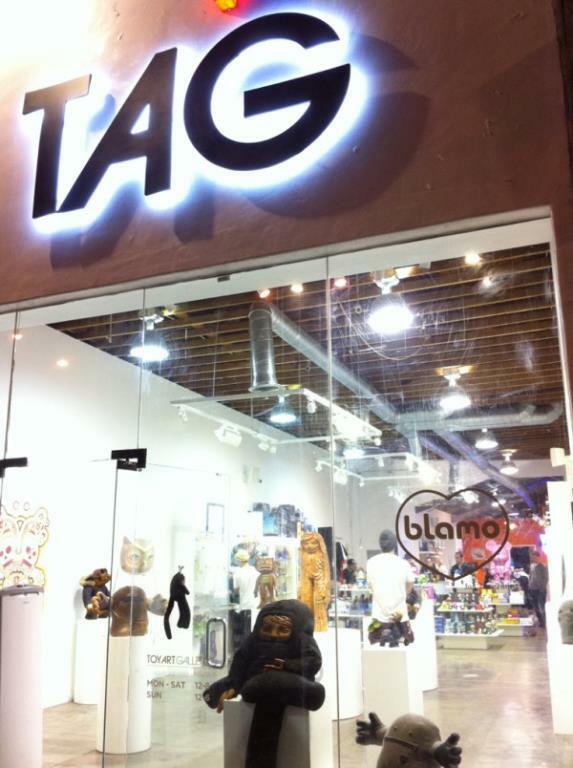 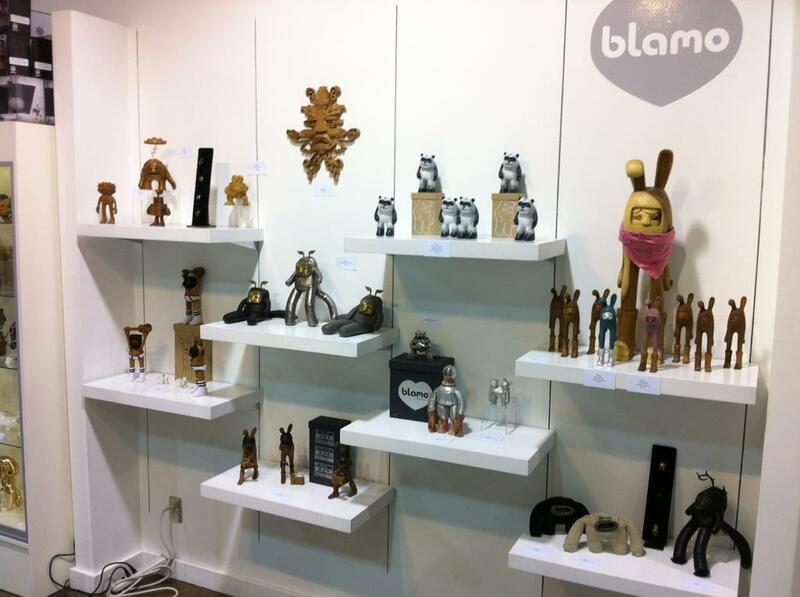 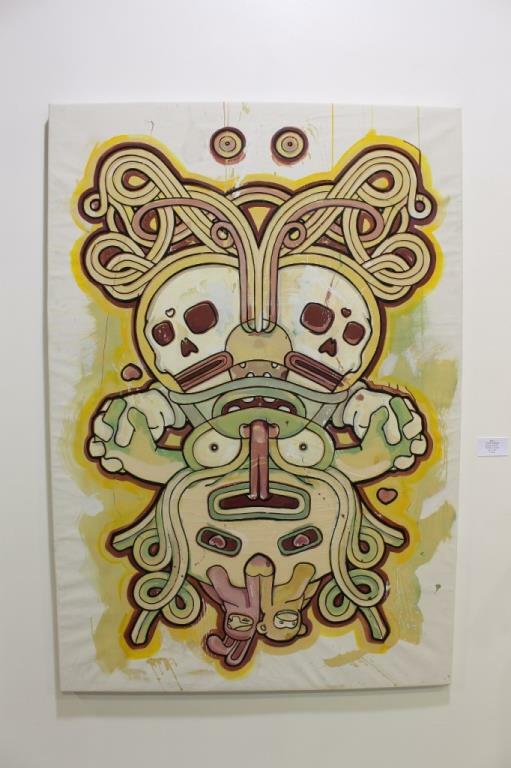 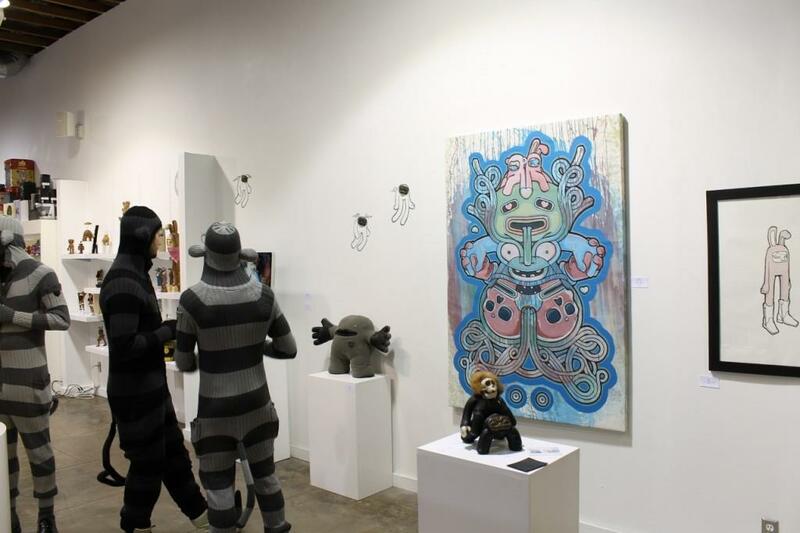 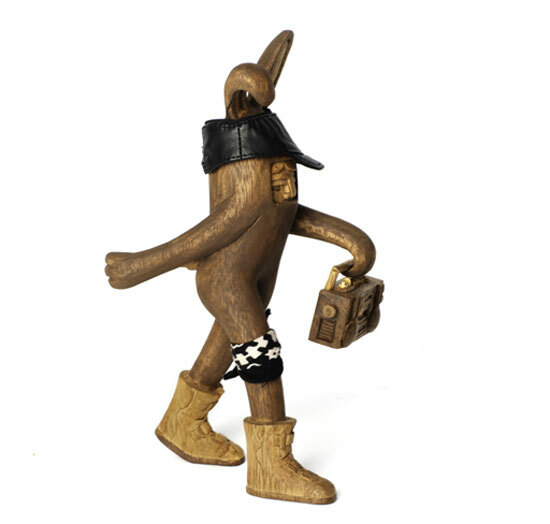 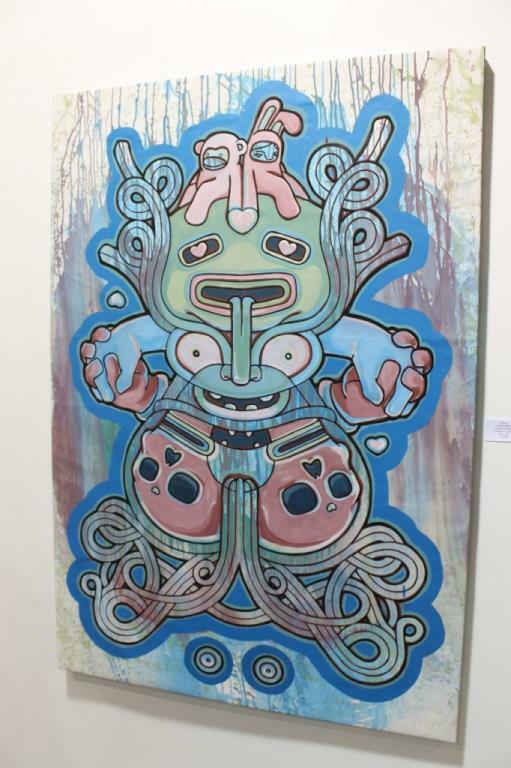 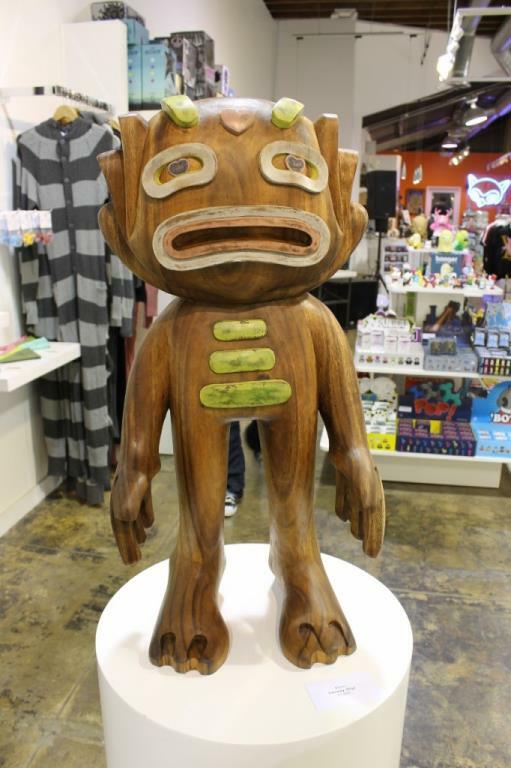 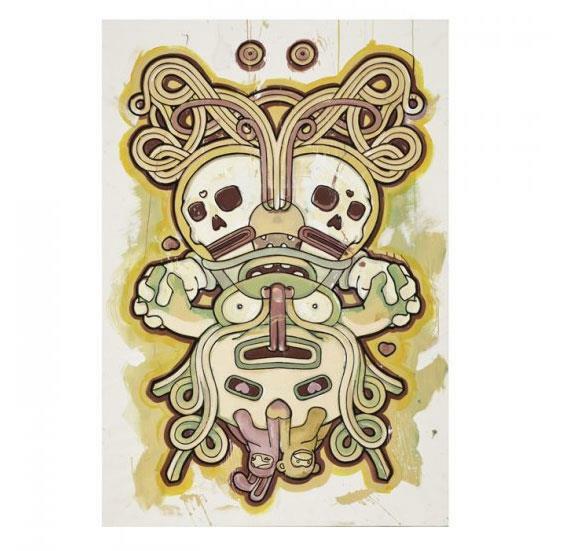 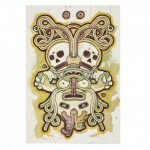 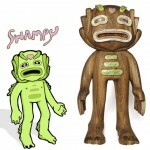 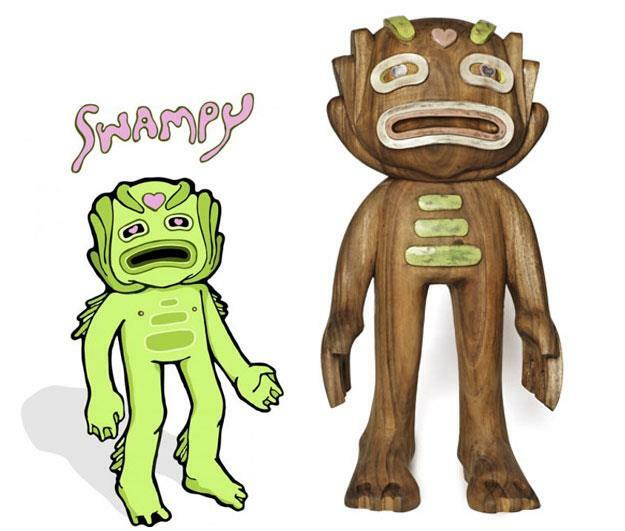 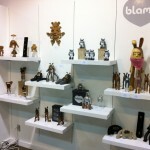 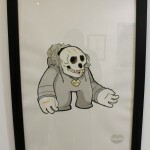 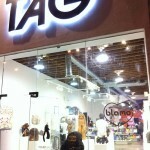 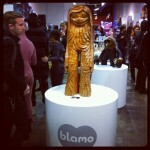 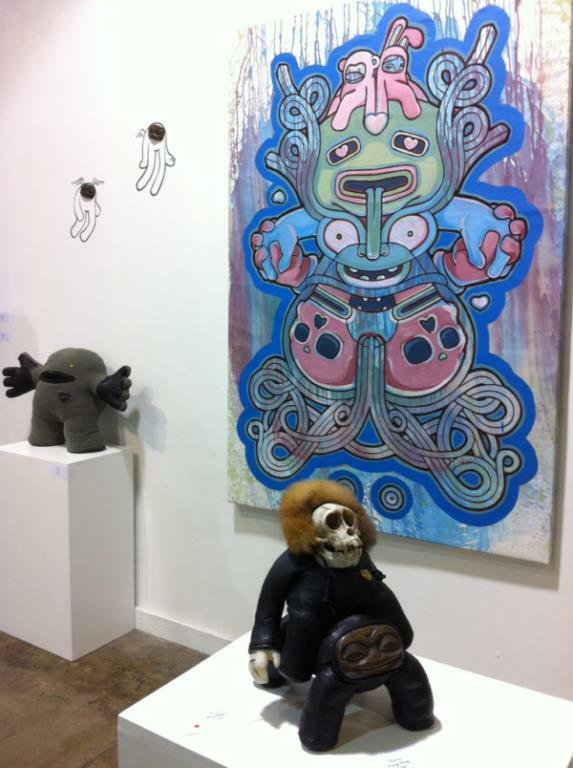 Wham Blam Blamo runs through January 28th at Toy Art Gallery in LA. 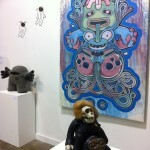 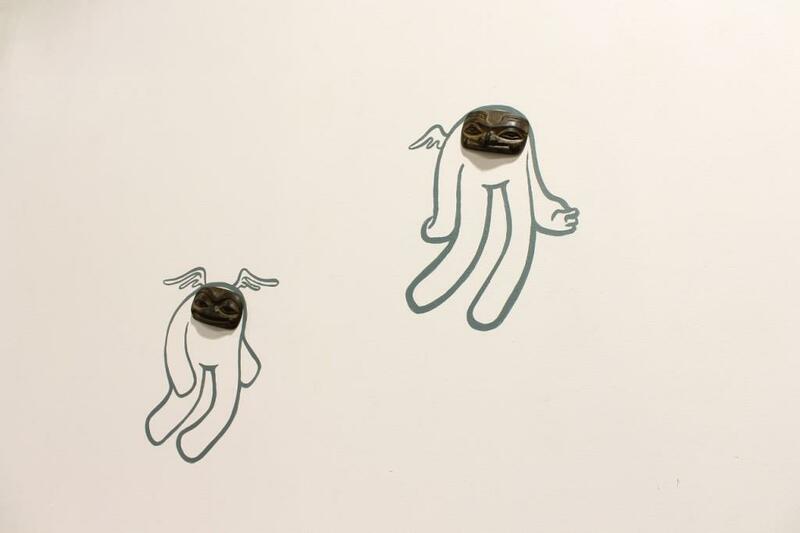 Work from the show is available online here.